The 2016 farmer’s market season is almost here, and that means the Black Mountain Tailgate Market is coming soon! 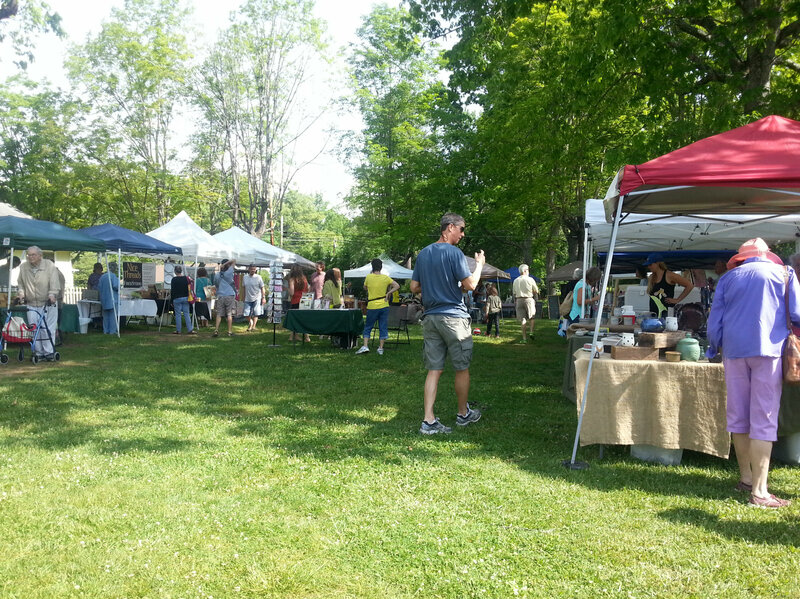 The market features locally-grown food including produce, meat, eggs and honey, as well as arts and crafts. It’s an awesome community gathering. The Black Mountain Tailgate Market opens for the 2016 season on Saturday, May 7, and will be running every Saturday from 9:00am until noon through November. We always recommend it to our guests who are looking to do something on Saturday before they head out for the day and for anyone who loves small town charm. Follow the Black Mountain Tailgate Market on Facebook at www.facebook.com/BMTMarket and learn more at http://blackmountainmarket.org. This entry was posted in Black Mountain Festivals and Events, Local Food and Drink and tagged festivals and special events, food and drink, Spring, Summer by Inn on Mill Creek. Bookmark the permalink.